Home » Food & Drink Guides » 10 Vegan Pizza Crust Brands That Make Dinner Super Easy! 10 Vegan Pizza Crust Brands That Make Dinner Super Easy! 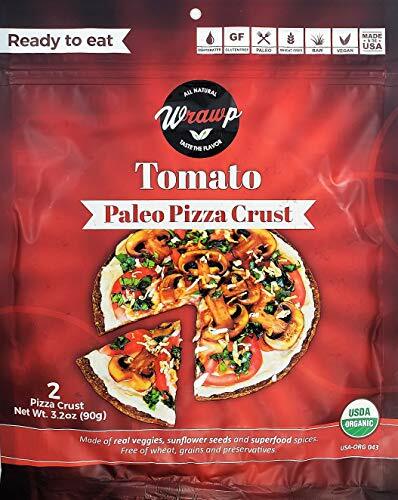 Looking for some store-bought vegan pizza crust brands ? You’re in the right place! We’ve got options 10 that will make pizza night easy. While many pre-made items in the grocery store have eggs or dairy – we found 4 easy options online for a great pizza night. Do note, though – if you’re near a Trader Joe’s, they have an awesome vegan sprouted pizza crust in their bread section and it’s totally awesome. 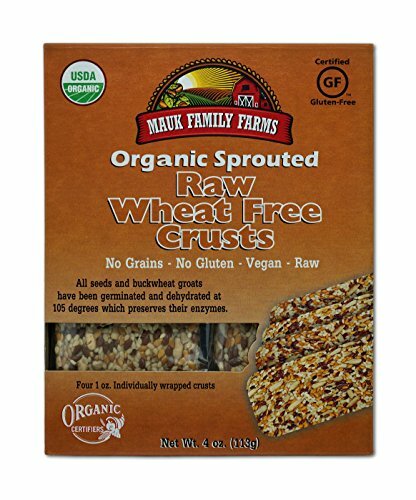 If you’re on a gluten-free or a raw diet and like your pizza crust extra crispy and thin, this is a great one to try. It’s made of nutritious dehydrated veggies and softens when topped with sauces, which we recommend. If you’re not planning on using any sauce, this might be a no-go because it will probably be very dry. It’s very flat, almost like a tortilla, and it should hold up pretty well after baking because it does get crispy. You can also use it to make vegan calzones and pizza wraps because it’s thin and flexible when rehydrated. There are tons of flavors in different colors if you’re looking to liven up your vegan pizza. Ingredients: Carrot, Zucchini, Apple, Flax Seeds, Sunflower Seeds, Coconut, Black Salt and Tomato. These Sicilian-style rectangular crusts are sized for personal pizzas, so they’re great for parties and DIYs. Because they’re mini, you don’t have to worry about messing up a whole, big pizza if you’re having trouble in the kitchen — we’ve all been there. They’re nice and fluffy while still offering the thinness of a flatbread pizza. Overall, their perfect party size and deliciousness make two great reason to give them a try. 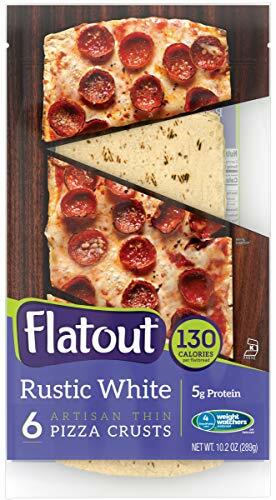 Ingredients: Water, ’00’ Pizza Flour, Enriched Wheat Flour (Malted Barley Flour, Niacin, Reduced Iron, Thiamin Mononitrate, Riboflavin, Folic Acid), Olive Oil, Contains less than 2% of: Semolina Flour, Millet Flour, Sea Salt, Sunflower Oil, Raw Sugar, Vinegar, Yeast, Cultured Wheat Starch and Flour, Wheat Flour, Enzymes. This gluten and soy-free vegan pizza crust is made with traditional Italian seasonings. They should get nice and crackly-crispy when baked. According to Venice Bakery’s website, they can keep in the freezer for a good long time without losing their freshness. Ingredients: Water, Rice Flour, Modified Rice Starch, Potato Starch, Olive Oil, Evaporated Cane Sugar, Tapioca Flour, Potato Flour, Fresh Yeast, Salt, Garlic Powder, Italian Seasonings (basil, thyme, sage, marjoram), Xanthan Gum, Calcium Sulfate (added for freshness). Reviewers love that these crusts make gluten-free pizza so tasty and quick. Just top and bake. The list of ingredients is very simple and the crust itself doesn’t have a super distinct flavor, but by no means does that make it anything but delicious. All in all, it’s an easy-to-bake, crispy vegan flatbread with a nice, subtle flavor that can play up whatever sweet or savory toppings you want to pile up high. Ingredients: Gluten Free Flour (Brown Rice, Tapioca, Soy), Water, Palm Oil, Xanthan Gum, Dry Yeast, Salt, Baking Soda. 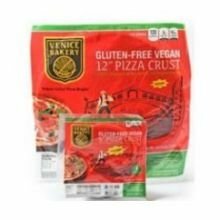 If you live near a Target, Market Pantry Original Pizza Crust is easy to find (check the baked goods section) and totally vegan. It’s a thin, straight-forward pizza crust that meets Target’s standards for synthetic preservative, food dye and trans fat-free foods. Target suggests storage in a dry, room-temperature area, but we think you can probably freeze it for a short period of time. Otherwise, you might need to use it fairly quickly so it doesn’t go stale. Ingredients: Enriched Flour (Wheat Flour, Niacin, Reduced Iron, Thiamine Mononitrate, Riboflavin, Enzyme, Folic Acid), Water, Soybean Oil, Contains Less Than 2% Of Each Of The Following: Dried Yeast, Dextrose, Fumaric Acid, Calcium Propionate (Preservative), Canola Oil, Cellulose Gum, Sorbic Acid (Preservative), Salt, Maltodextrin, Mineral Oil, Potassium Sorbate (Preservative), Soy Lecithin, Carrageenan, Sodium Metabisulfite (Added As A Dough Conditioner), Corn Starch, Tricalcium Phosphate, Microcrystalline Cellulose, Dicalcium Phosphate. Since cauliflower took off in the foodie world, aficionados have raved about it as pizza crust but lamented that it can be a little tricky to make from scratch — which is why they love this ready-to-go cauliflower crust. It’s a nutrient-rich, low-glycemic alternative that doesn’t sacrifice any flavor or texture. The longer you bake it, the crispier it gets, just like traditional pizza crust. Just add some shredded vegan cheese and your favorite pizza toppings. Ingredients: Fresh Cauliflower, Sesame Seed Flour, Sunflower Seed Flour, Olive Oil, Nutritional Yeast, Basil, Psyllium Husk Powder, Garlic, Sea Salt. Rustic Crust Company presents this pizza crust as healthy and “Old World” style, chewy and multidimensional in flavor thanks to the varied grains, seeds and spices. Loyal fans appreciate its satisfying denseness. Use this crust to make a flavorful, classic (vegan) pie thanks to a hearty texture and complex flavor profile. Ingredients: Unbleached/Unbromated Enriched Wheat Flour, Filtered Water, Rye, Barley, Oatmeal, Linseed, Millet, Sesame Seed, Flax Seed, Yeast, Natural Culture, Olive Oil, Soybean Oil, Salt, Spices. This artisan-style, thin pizza crust is personal sized, so if you’re making dinner for more than one, you can use different sauces and toppings for the best of multiple vegan pizza worlds. Each crust is char-marked for an authentically rustic experience. Great for a quick bite when you’re pressed for time as it bakes in under ten minutes. Ingredients: Enriched Wheat Flour (Wheat Flour, Malted Barley Flour, Niacin, Reduced Iron, Thiamine Mononitrate, Riboflavin, Folic Acid), Water, Wheat Gluten, Sugar, Contains 2% Or Less Of: Oat Fiber, Soybean Oil, Potassium Sorbate And Sodium Propionate (Preservatives), Sodium Acid Pyrophosphate, Yeast, Sodium Bicarbonate, Salt, Fumaric Acid, Soy Flour. Contains: Soy, Wheat. 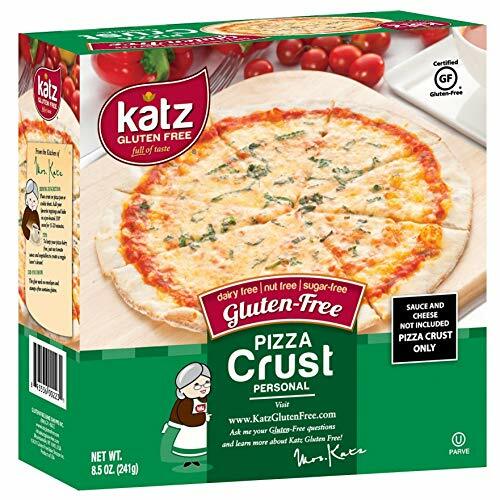 Available at Target, this ready-made crust is the ultimate in super thin and crispy pizza crusts. It’s USDA certified organic and avoids refined sugars, using organic raisin juice for flavoring instead. We recommend this pizza crust if you prefer your toppings to stand out over the crust. Ingredients: Organic Wheat Flour, Water, Organic Raisin Juice Concentrate, Organic High Oleic Sunflower Oil, Contains Less Than 2% Of Each Of The Following: Dried Yeast, Organic White Distilled Vinegar, Sea Salt, Gum Blend (Xanthan Gum, Sodium Alginate, Guar Gum), Lactic Acid, Organic Soy Lecithin. You can feel good about eating this raw vegan pizza crust if you’re trying to avoid refined flours. It requires no baking — just slather it in sauce and veggies and enjoy. It’s made sans wheat, grains and gluten for specialized diets. Best of all, you can get pretty creative with this crust, using it for anything from a hummus dipper to a dessert pizza base with fruit, jam and a nice vegan cheese spread. Ingredients: Brown flax seed*, golden flax seed*, sesame seed*, sunflower seed*, garlic*, onion*, celery seed*, red bell pepper*, parsley*, sea salt, water. *Organic.